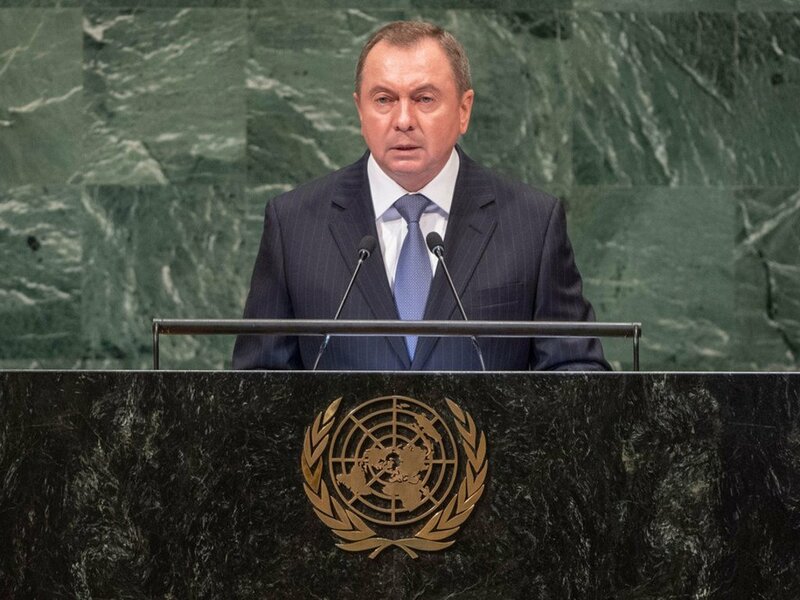 Foreign Minister Vladimir Makei of the Republic of Belarus addresses the seventy-third session of the United Nations General Assembly. In spite of the criticism levelled against the United Nations, there is no other such platform for cooperation or a multilateral mechanism based on “equal and respectful attitude towards each and every country and their needs,” the foreign minister of Belarus told the General Assembly. “The search for answers to global challenges, the quest for ways to address common objectives clearly points out the following – no country can solve them alone,” asserted Vladimir Makei, the Minister of Foreign Affairs of the land-locked eastern European nation. In his address, Minister Makei also underlined the unique position of middle-income countries when it comes to implementing the 2030 Agenda for Sustainable Development – adopted by UN Member States, in 2015 – noting that while they offer the greatest potential for economic growth and are home to nearly three-quarters of the global population, middle-income countries also account for an overwhelming majority of the world’s poor. Further in his address, the Belarusian Minister underlined urgency of bring to an immediate end the “unwinding spiral” of geopolitical chaos that has plagued the international community over the past three decades. To that end, he called for States retaining their role as the primary international actors and that ensuring the respect for State sovereignty; strengthening the State and its role in domestic affairs; and a willingness among States to dialogue, listen to arguments and embracing reasonable compromises. “We are convinced that only dialogue can help resolve the deep crisis of trust in international relations and produce mechanisms conducive to peace and International security, as well as to sustainable development,” he concluded.